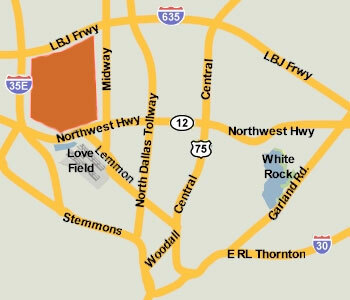 These premium properties in Northwest Dallas were listed for lease as of April 13, 2019. Click on the address for more information on each, including photos and a map of its location. Properties designated New have been on the market no longer than a couple of weeks, or so. For more information about any of these premium properties in Northwest Dallas, or to schedule a showing, contact John Pritchett 214.234.0056, JPritchett@msn.com. No rentals found in this category. *Copyright © 2019 North Texas Real Estate Information Systems, Inc. All rights reserved. Certain information contained herein is derived from information which is the licensed property of, and copyrighted by, North Texas Real Estate Information Systems, Inc. The information contained herein is furnished by the owner to the best of his knowledge, but is subject to verification by the Purchaser, and Broker or Agent assumes no responsibility for corrections thereof. The sale offering is made subject to errors, omissions, change of price, prior sale or withdrawal without notice. In accordance with the Law, this property is offered without respect to race, color, gender, creed, national origin, familial status or handicap. All properties are subject to prior sale or withdrawal.